Twitch has updated its guidelines so that abuse taking place on other platforms can contribute to a suspension on the streaming site. Directing “hate or harassment” towards someone on Twitch using other services will be considered a policy violation. Conduct Twitch deems “hateful” on any platform will result in an “immediate indefinite suspension”. Sexual conduct rules have also been changed to consider the “context” of a stream. Moderators will pay attention to clothing, the title of a stream, camera angles and chat moderation when deciding whether something is sexually inappropriate. “Attire in gaming streams, most at-home streams, and all profile/channel imagery should be appropriate for a public street, mall, or restaurant,” the update says. Twitch also acknowledged the possibility of the rule being used to harass streamers for wearing revealing clothing. “We will not tolerate using this policy as a basis to harass streamers on or off Twitch, regardless of whether you think they’re breaking this rule,” Twitch says. The platform has recently expanded into non-gaming content and says the updates are needed to “govern this ever-changing landscape”. Its “IRL” (in real life) section can feature people playing board games, cooking, singing, going to the gym – anything people do in real life. 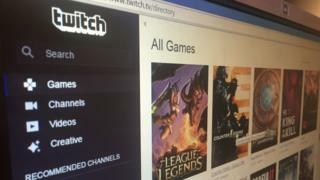 Twitch has millions of active streamers, but a minority have been criticised for using the IRL channel to promote apparent sexualised content. Viewers have the option to tip streamers they enjoy watching, and some have taken advantage of lax rules in IRL to entertain fans by dancing or doing suggestive exercises like squats to tempt subscribers or earn Twitch’s micro-currency. There was some backlash to the people responsible for that kind of content, nicknamed “booby streamers”. Sexual content has always been prohibited, but some women have complained about being reported just for the way they’re dressed. The new guidelines appear to aim for a middle-ground where streamers aren’t penalised simply for what they’re wearing – with other factors taken into account as well. Twitch says a further IRL-specific update to its guidelines is on the way. The site has been under pressure for some time to deal with harassment on its platform. The changes to the guidelines come into effect on 19 February. In the meantime Twitch says it will be “reaching out to some streamers whose current and past content may violate these new guidelines”.